Chris Christiansen is a Senior Consultant at Hurwitz & Associates. He researches Cybersecurity products and services collision of Cloud, Software as a Service, Internet of Things (IoT), Identity Management, Advanced Authentication, Data Protection, Threat Intelligence, and Consumer. From 1981 to the present, Chris has created and delivered thousands of documents, webinars, podcasts, and videos. You can see examples of recent projects on the Articles and Media page. 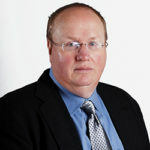 In 1997, Chris founded IDC’s security practice and subsequently became Program Vice President in charge of IDC’s Security Products and Services. He led programs in: Security Products, Security Services, Cloud Security, Mobile Security, Software Defined Security, Security as a Service, Internet of Things Security, Security Appliance Tracker, and GRC Security. In his role as a trusted advisor, Chris provided extensive qualitative analysis, data analysis, trend analysis, competitive market share, and consulting services for IDC’s clients in IT, security products, service provider, Wall Street, and Fortune 1000 clients. Since his first industry analysis report in 1981, Chris has covered PCs, servers, operating systems, clustering, mobile, networking, database, cloud, distributed denial of service (DDOS) defense, and many other topics. He was IDC’s executive analyst for Symantec and lead analyst for McAfee, Kaspersky, Digital Equipment Corporation, and many other industry innovators. While Chris focused on qualitative research, he used those insights along with primary research to develop over 300 forecasts for emerging and established markets. Previously, Chris held management positions in IDC Leasing Planning Service and Server programs. Prior to IDC, he founded the Mid-Range Systems program at Meta Group and held senior analyst positions at Data General, Wang, Yankee Group, and Creative Strategies. Chris holds an M.S. in Journalism: Science Communications from Boston University and a B.S. in Biology from Millersville University.